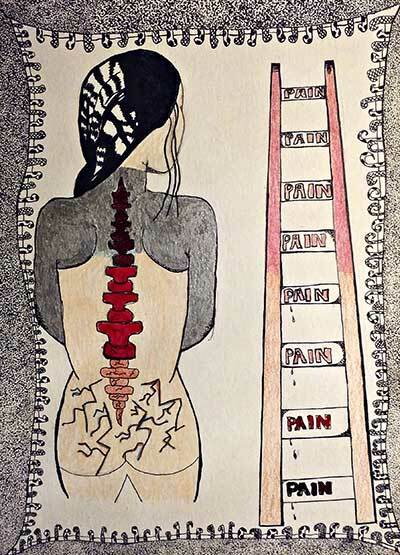 Three spine injuries later....I am a 53 year old artist, living in pain every day. I am also an author, and mother. I live in New Hampshire. I devote my craft to my pain, and animal rights.